Silver dollar values are on the move. Precious metals, gold and silver, are on the move. Collectible coins are on the move. All moving upward. Today's prices are surprisingly high, with silver at $14.99 an ounce, all silver dollars minted prior to 1936 are worth a minimum of $18.09 each. Quite a bit higher than their bullion silver value. Follow the links below and discover any rare coins in your box. All the elements affecting value are covered. First, identify your coins by date. Then by mintmark which denotes the different branch mints. Often important to value, mintmark locations are described and highlighted with images for each coin series. Next, one of the key factors in value is judging the condition of your coins, known as "Grading". All series have a specific How to Grade Coins section to help you determine their condition. Data covering 140 years of mintage. Ultimately narrowing in on your true silver dollar values. Follow the links to the different series. The originals, early Bust dollars are colonial works of art. Worth every bit of $700 or more depending on the date. Find one of these in your box and you have a treasure from history. A sophisticated collectible, take a peek at the value chart. A classic silver dollar but rarely encountered. With extremely low mintages and survival rates, all are rare. If yours is in nice condition it is easily worth over $221. Compare it to the grading images and value charts, discover its true value. Every collector likes them, every collector wants one. Their popularity is immense. Worth over $18.09 each because of silver content alone. Check the grading images and value charts. Find a rare date, mintmark or a better condition coin and values start climbing. Although Peace dollars are in the shadow of their earlier cousins. Please, don't let that stop you from looking at your coins and determining value. Each is worth $17.98 because of high silver prices. Also, the series does have a few rare dates and varieties to add to the excitement. The value chart and grading images shine a light on these rarities. The coins listed are the starting values. Close examination of your coins is necessary, rare and valuable silver dollars are found throughout each series. A strong potential of higher value is why careful examination of your coins is necessary. These rare silver dollars and many others may look like any other old coin in your box but they command high values. The above are good representatives of the several important factors that affect values. Note: The prices listed are wholesale values of nice coins for the grade. Throughout all series are rare dates. Many silver dollars are rare because of the mint that struck them, identified by the mintmark. Still others are rare varieties not generally known outside the coin collecting world. And of course the condition of your coins. Often silver dollars are very rare in well preserved condition. Look again at the range in value from one grade to the next. The different grades are sometimes difficult to detect but very important to silver dollar values. Follow the image and text links above. From the first year of mintage 1794 and ending with the Peace Dollar in 1935. Silver dollar values are listed for all dates, mintmarks and varieties. Grading of coins is a necessary step when determining an accurate value. Grading videos cover the Morgan and Peace silver dollar series. Videos present the grading process along with descriptions of subtle element to grading highlighted in images. Additionally, check all of your coins. Are some or most of your old coins rising in value with this upward move? Today's values are above last year's. 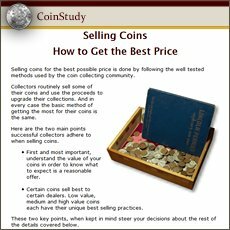 Coin Values Discovery... finds Silver Dollar Values and... All old US coin values. It is an excellent index with images and text links to all coin series, from Cents to Gold. Value charts, grading images and descriptions uncover how much your box of old coins is worth. An accurate judgement of your coin's value allows for worry free decisions when selling coins and finding potential coin buyers.